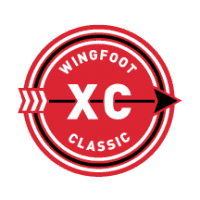 The inaugural Wingfoot XC Classic will feature 2 mile and 5K races on surfaces such as grass, dirt and gravel. The course will be a unique single loop with traditional European cross country elements such as hay bales or logs. The event is open to middle school and high school cross country teams as well as the general public. Congratulations to all of the finishers of the 2015 Wingfoot XC Classic! View Community Race results here. View Middle School and High School results here. Race Day registration for the Community Race is available onsite beginning at 6 am. Deadline to register and be timed is 7:00 am. This event is part of Atlanta Track Club’s 2015 Grand Prix Series and is free for Atlanta Track Club members/$10 for non-members. Participants have the opportunity to select a school to represent during online registration and the school with the most registrants by 11:59 p.m. on September 23 will earn a tent in the VIP area for the 2015 event complete with snacks and a private port-o-john. The race will be professionally chip timed with clocks at each mile marker and the finish line. 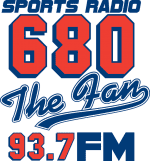 The race will be NFHS and GHSA sanctioned for Georgia schools and other states upon request. Payments due by September 18, 2015 – If payment is not received by due date teams will not be eligible to race. School Team Awards-Top 21 finishers from races will receive medals, and Top 10 Varsity runners will also receive a t-shirt. Top 3 teams in Varsity, Junior Varsity, and Middle School races will receive a team award. Schools will have the opportunity to compete as a full program earning points for Varsity and JV teams placing in their respective races. The top program will be named the Wingfoot Cup Champion and receive a championship trophy and be featured on the cover of Wingfoot magazine. Additionally, in 2016 the winners will gain a spot in the VIP area and FREE entry as they defend their title. Available at the race site for $5.00 per car. Bus Parking will be free and located offsite. Atlanta Track Club will provide coffee, beverages, and food for coaches and volunteers next to number pick-up by the Aquatic Center Parking lot. Please feel free to grab a drink and a snack. The team that has the most parents, friends, and community members sign up for the Community Race, prior to online registration closing September 23, will be given a VIP area located by the start line complete with race day snacks, tents, and private port-o-john. Metro Kia of Cartersville will be showcasing the latest Kia vehicles on course. Check them out on race day and schedule a test drive at the dealership. The first 100 people who bring in their race bib through October 3 to Metro Kia of Cartersville and test drive a vehicle will receive a Mizuno - Atlanta Track Club branded water bottle.